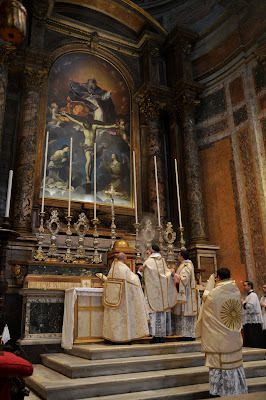 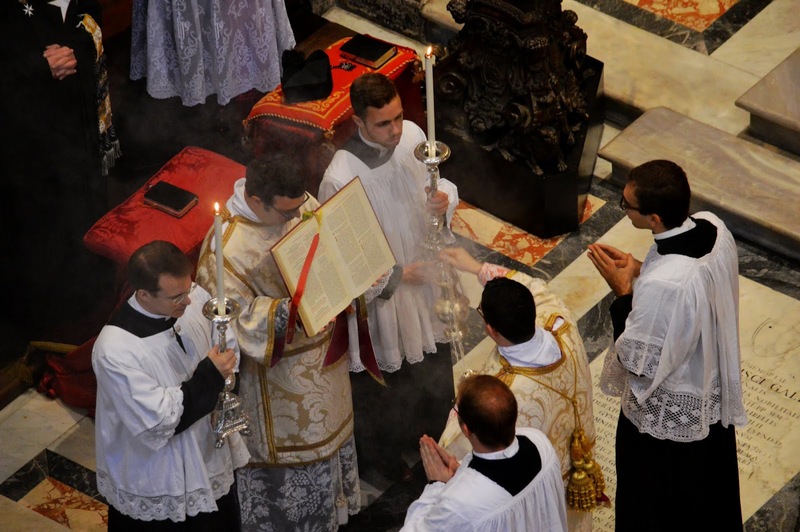 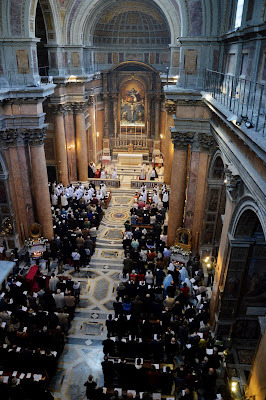 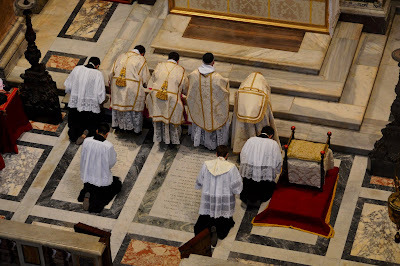 Here are some more photos from the Populus Summorum Pontificum Pilgrimage to Rome celebrated past weekend, with our thanks once again to the photographer Mr François Nanceau. 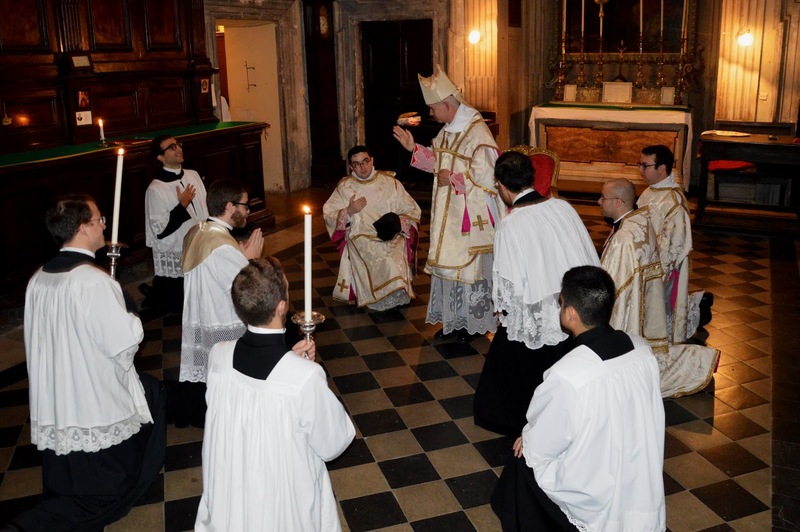 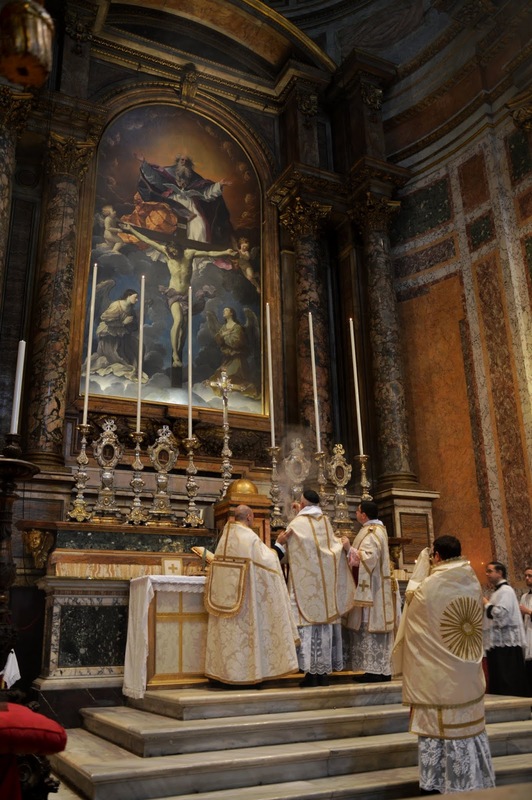 October 25 - Pontifical Mass for the feast of Christ the King at the FSSP’s Roman parish, Ss.ma Trinità dei Pellegrini, celebrated by Don Jean Pateau, Abbot of Fontgombeault, . 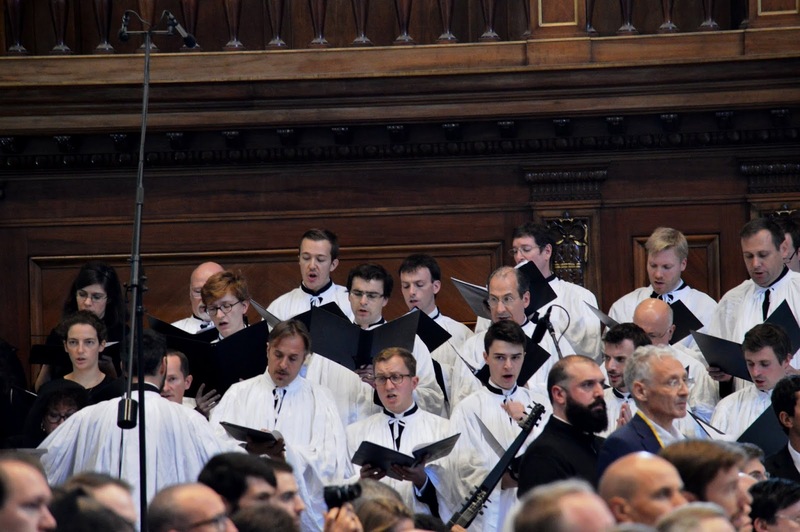 The Mass was sung by English ensemble Cantus Magnus, conducted by Mt Matthew Schellhorn. Click here to see more photos, and here to find them on facebook. 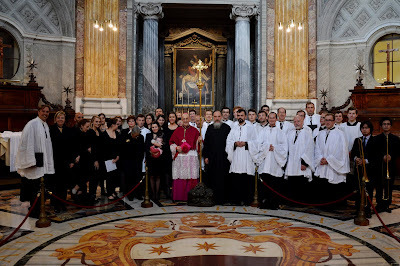 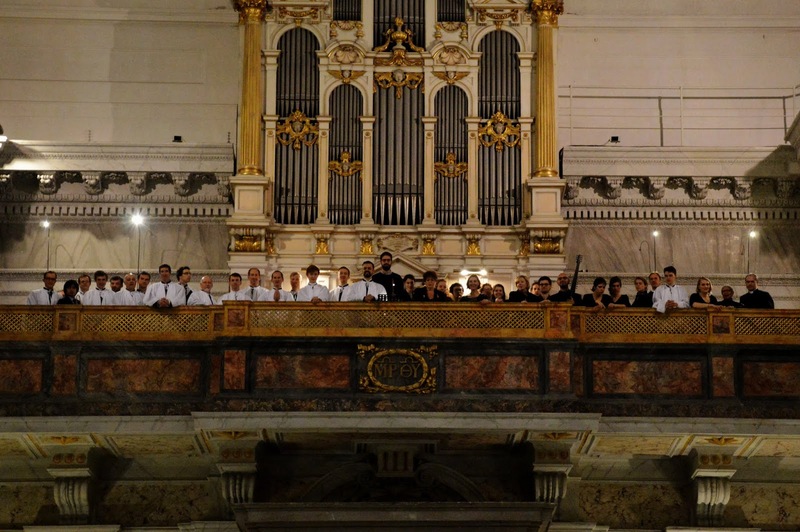 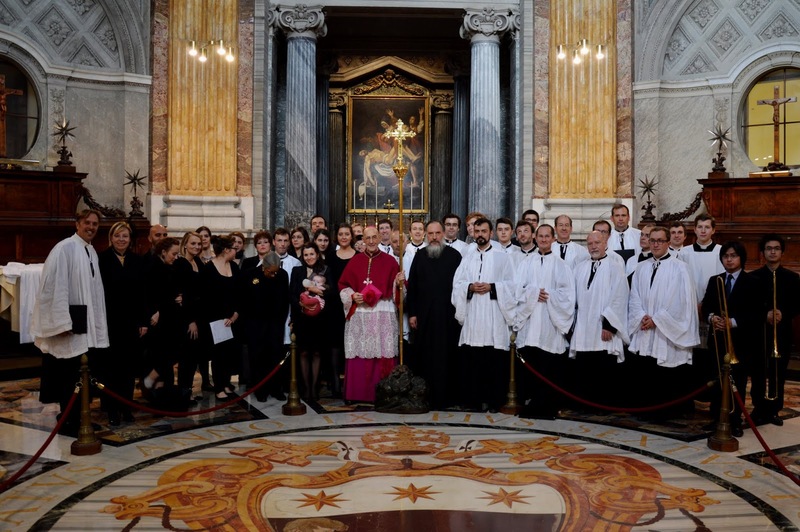 And here are some photos of our friends from the Schola Sainte-Cécile, in the choir loft of Santa Maria in Campitelli, in the choir at St Peter’s, and in the sacristy of St Peter’s along the celebrant of the Mass that day, Mons. 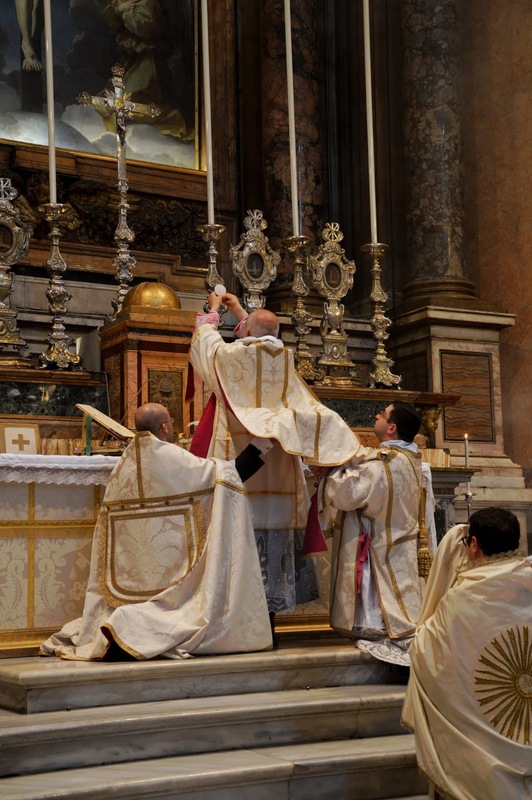 Rodolfo Lais, Bishop Emeritus of San Luis in Argentina.